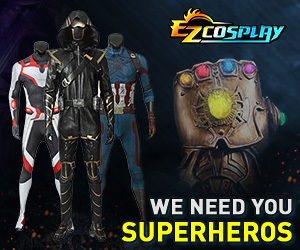 So I just saw this under the Events page on NYCC's website and thought that maybe I should give it a try. I have made new friends at NYCC before but never thought that I might meet someone who could be more then just a friend. It seems like the perfect way to meet someone with similar interests without resorting to questionable internet dating sites and such. Has anyone had any success with using NYCC's speed dating? Or maybe just meeting someone who turned into more then just a friend at a convention, even without the speed dating? They haven't run this event before. And I'd actually do it too, but I move to Philly the following week. And I'll be in Cosplay which might attract the wrong kind of attention. yup, it definitely sounds like a lot of fun, id definitely go there if i could. Also people in crossplay (like me) would probably drive them mad, considering they would probably have to sort of seperate men and women, though I frankly have no idea about that. But yeah, on my last con I did meet a couple new people and made one definite friend. I tried it at FanExpo a few years ago. It was fun and meet some interesting people. I wouldn't go in thinking you will find your soulmate though...just go with an open mind and have fun! At the last con I was at, at the end of a masquerade, a guy proposed to his girlfriend, who he had met at a con. So I think it is possible to find love at a con, but I wouldn't go for that reason only. I met an ex at a con when I first started going. It's definitely something that's possible. And I say go for it! It's basically just meeting new people with similar interests in short bursts. You might make a new friend in the process. As long as you don't disclose any personal information too quickly I don't see much of a downside. do you know who's running it? because i saw a mini-series on con speed dating a few months ago and it might be run by the same people. NYCC had speed dating a couple years ago, one of the guys in my Garrison participated in it. He met a nice girl but it did not work out.